Hotels near Chattel House Audio Tours Inc.
We have returned from Coco de Mer and are thrilled. The lovely apartment has plenty of space, plenty of rest and lots of amenities. A good starting point for our activities. A great experience was the little turtles, which we helped to find their way into the sea. Thanks to Jude and Pam, who made this possible. We want to come back soon !! We (2 couples) had a great 2 weeks staying in this beautiful apartment. We always stay in Speightstown as we love how quite and un-touristy it is, but this was our first time in this apartment. It is really well managed - from arrival to departure, everything worked smoothly. The apartment itself is beautiful - it is light and airy, really spacious, with nice bedrooms with very comfortable beds. It is very nicely furnished and kitted out - there is everything you could possibly need. The huge balcony / sun terrace looks out over the beach. As it is a corner apartment, there is always nice breeze going through the property. We absolutely loved our stay here and will surely be back. 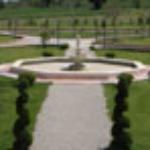 Liked best: Beautiful apartment, well managed. Liked least: That we had to leave! We stayed at Coco de Mer for one week and wish we could have stayed longer. The apartment is just as well-kept, spacious, and beautiful as it appears in the photos. 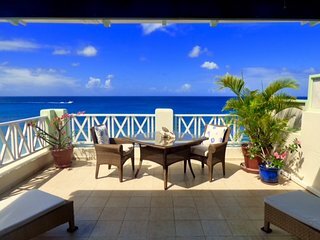 The balcony overlooking the beach was our favorite spot to relax in the morning and in the evening watching the sunsets. The Speightstown fish market is a short walk away and a great place to get fresh fish to cook. We did our grocery shopping at the two nearby super markets also in walking distance and bought fresh bread at the local bakery. There are beachfront restaurants within walking distance, but we chose to cook and eat the majority of our meals on the balcony. If you are looking to stay in a less touristy area and experience the local Bajan culture Speightstown is perfect. We took the bus a couple of times from the nearby terminal, but it can take an hour or more to reach destinations in the South of the island. 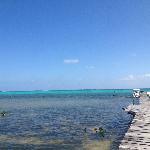 There are plenty of beaches close to Coco de Mer. We swam in the beach directly in front of the apartment, but it can be rocky. Just a short 3 minute walk there is a long stretch of beach in front of various hotels that is perfect for swimming and also has shaded areas. 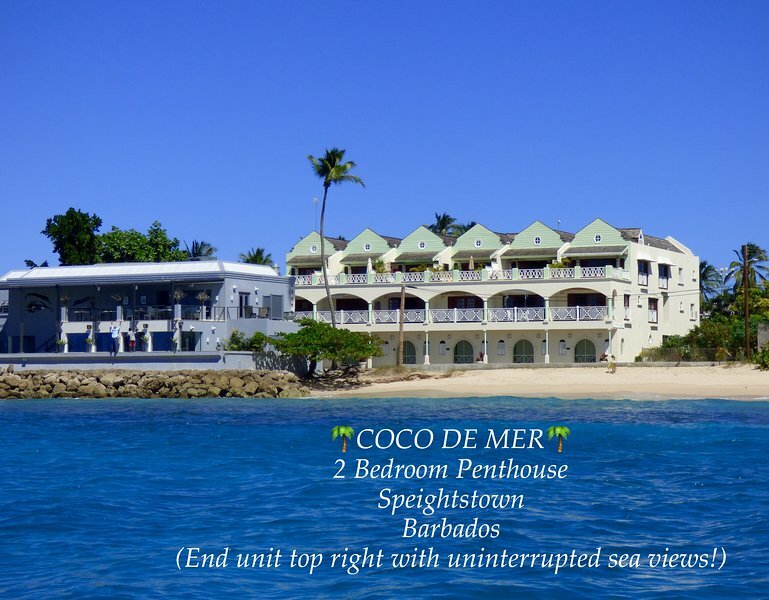 This was our first time in Barbados and we would definitely come back and happily stay at Coco de Mer again. I concur with all the previous reviewers comments with regard to this superb apartment...we used it with our teenagers...I must admit I was worried that the idea of them 3 weeks in July and no pool was a mistake..in the end the kids never even mentioned the lack of pool..we just went straight into the sea opposite or up to the old resort and swam and snorkeled the coral there. We were primarily on a diving holiday and were superbly looked after at Wreckers and Reefers, and thoroughly enjoyed the atmosphere and people of Speightstown..a real gem in the Caribbean...it would be hard to find better. The apartment was just like the photos and descriptions - fantastic! The view from the patio could not be bettered - ideal for relaxing in the sun and watching the beach and the world go by. Coco de Mer is very spacious and excellently maintained and equipped with everything you need for a brilliant holiday whether you wish to self cater or eat out. 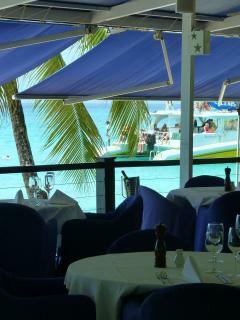 Location is ideal for touring the island or just the 2 minute walk into the town for a drink or meal. Bus station just around the corner if you do not wish to hire a car. Wi-Fi worked on the patio - ideal with 2 university students! Many thanks Jude and Sarah for a dream holiday. Liked least: Everything was good! Liked least: Sorry! I have no complaints. 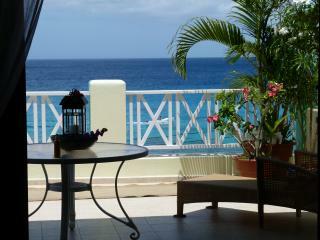 Looking for a place to stay in Speightstown?